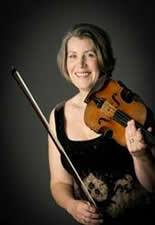 Jane started the violin at the relatively late age of 10 and progressed quickly, taking Grade 8 at 16. After sixth form, Jane studied for 4 years at the Guildhall School of Music and Drama with Suzanne Rozsa and Isabelle Flory, gaining Diplomas in Performing and Teaching. After leaving the Guildhall, Jane became a Professor of Violin at the Junior Guildhall School of Music and pursued a career in teaching and freelance playing. Jane has taught extensively in both the independent and public sectors with pupils gaining success in examinations. Some students have gone on to pursue a career in music as teachers and professional musicians and most recently two of her pupils were successful in gaining places at the world famous Yehudi Menhuin School.